I absolutely LOVE the way this card came out! I've made two versions - one with World's Greatest Guy and another with World's Greatest Dad. Perfect for everything from Graduation to 21st Birthday and more - what guy doesn't like to celebrate with a frosty mug of beer? 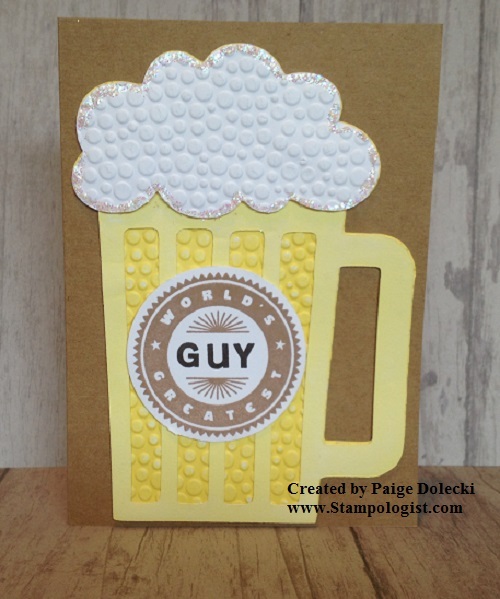 Signup now for this fun guy card class!